Five illegal oil bunkerers have been arrested by troops of the 130 Battalion of the Nigerian Army Corps of Military Police, Port- Harcourt Barracks, Rivers State. They were also handed over to the Economic and Financial Crimes Commission, EFCC. 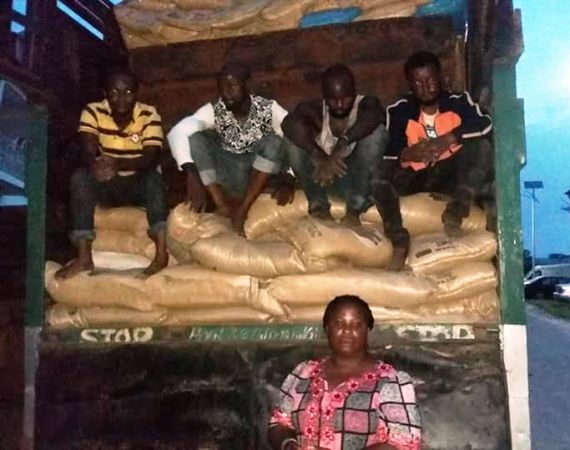 The suspects comprising four men & a lady: Sokari Iminabo; Segun Olagunju; Uche Emmanuel; Obinna Ezime and Mrs Tony Patience, were arrested at Anyako waterside in Sama Community of Asari Toru Local Government Area of Rivers State. They were intercepted with a 30-tons truck loaded with suspected illegally refined Automotive Gas Oil, AGO.